Cooking & Eating, Ingredients, Savory, etc. Pumpkin pie, dear readers, is one of my favorite autumn treats. But suspect squash purée, excavated from a sealed tin can labelled with a happy turkey, or a beaming grandmotherly face, or some other graphic designed to distract from the disturbing vagueness and small print of the tin’s actual ingredient list is a thing I find somewhat less agreeable. I’ve mentioned here before that dairy — like sweetened condensed milk — that is designed to be stored at room temperature disturbs me. And pumpkin glop is another one of those things that fits into the same general category in my mind. 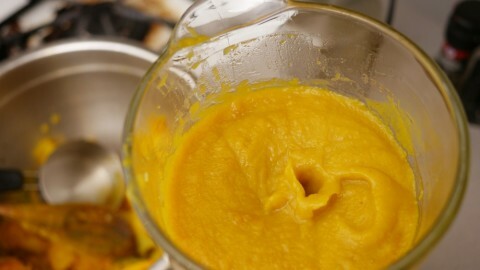 Luckily, there is a way to produce squash purée that does not involve a can opener. And while it admittedly takes more time, it is hardly an arduous task. The process goes something like this: acquire squash (pumpkin, or one of its more delicious cousins); halve, seed, and roast; scoop and purée the flesh; and store in two-cup increments, in sealed baggies, inside the friendly confines of your freezer. It makes for a more vivid tasting glop than the canned variety; it’s perfect for desserts, soups, or whatever else; it allows you the opportunity to reserve the seeds for roasting and snacking (obviously, the best part); and above all, it means that rather than the uncertainty of a glop that may or may not actually have ever met a pumpkin, you can be sure that what you’re eating is what is advertised. That said, here’s a hint: unless the pumpkins that grow near you are a whole lot better than the pumpkins that grow near me, that is not actually the squash you’ll want to use. Butternut squash makes a better, richer, more flavorful stand-in for pumpkins in almost every circumstance, including desserts like pies, custards, and mousses where the switch yields a kind of smoky depth of flavor that is sure to impress your guests. But if you can find them, blue hubbards make by far the best squash purée. 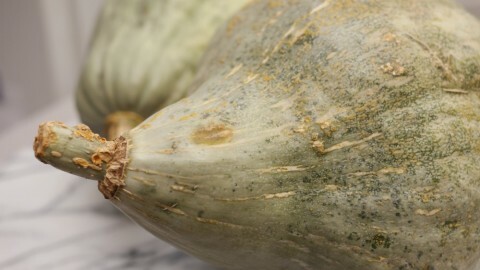 Blue hubbard squash is misshapen, oddly gray, and often massive, sometimes weighing ten or twelve pounds and sporting more volume than one ordinarily-sized oven can hold. I’ve cooked blue hubbard squashes where I’ve had to go with just one rack in my oven, positioned all the way at the bottom, and roast the thing whole — because I didn’t have a knife big enough or sturdy enough to slice it in its raw state. And I’ve cooked one blue hubbard where I had to cut it down the middle — appropriate knife or not — and then cook just half at a time. The ones I got this year from the fabulous McCann’s Farm are positively bite-sized by blue hubbard squash standards — not much bigger than a carving pumpkin or a big kabocha. But despite their (relatively) reduced size, they are just as rich and distinctive as their hulking brethren, offering enough pumpkin flavor to serve as a stand-in, but offering an interesting brightness and an almost watermelon scent that will make folks ask: what was that, now? If you can get a blue hubbard squash, I would highly recommend it. But almost any winter squash will be good for squash purée. For the most part, they’ll all roast, glop, and freeze well. They’ll all be of markedly better quality than any suspect orange stuff you could extract from a can. And they’ll all offer up bunches of those delicious seeds that make the extra work totally worth your time. Just stay away from acorn or spaghetti squash, and your homemade glop will go great! Preheat your oven to 375F. 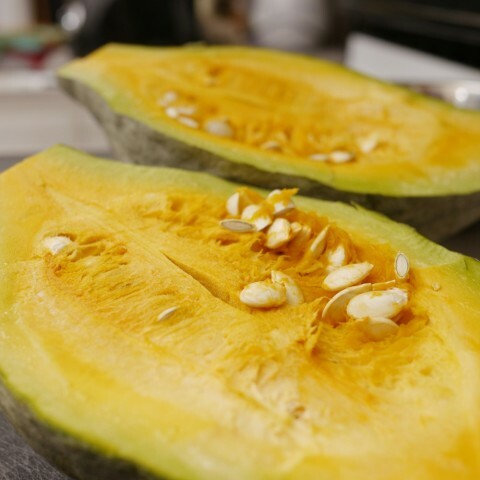 Halve and seed your squashes, reserving the latter for cleaning and roasting. The position the halves on an oiled jelly roll pan, and roast for an hour. Depending on the quantity of squash, this might take two rounds. 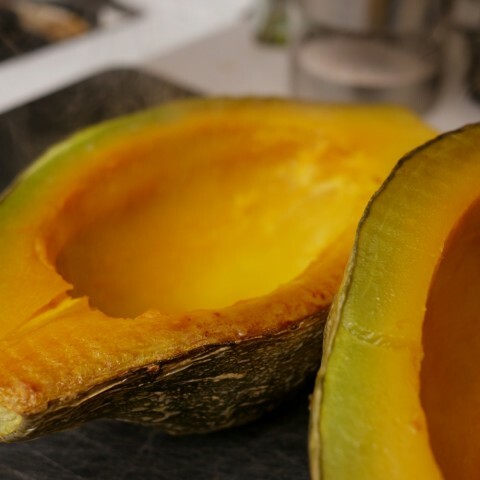 When the squash is done, remove it from the oven and allow it to cool for about 20 minutes. Scrape the flesh into a kitchen bowl, making sure that you get everything, right down to the skin. Then in batches, purée the flesh in a food processor or blender. 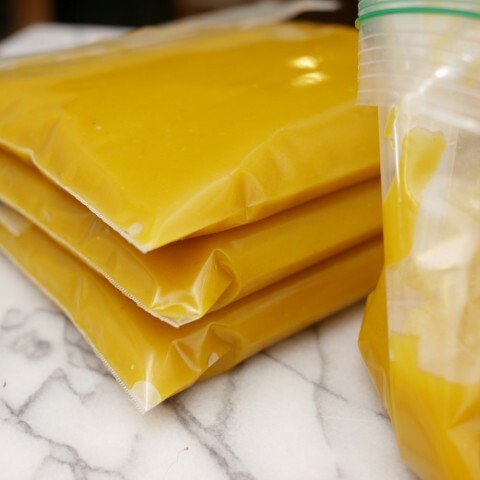 Using a measuring cup, transfer the squash purée, two cups at a time, into quart-size freezer bags. Seal, lay flat, and store in the coldest part of your freezer. To use, simply defrost in the refrigerator or in a bowl of cold water, then add to whatever delicious pumpkin thing you’re making today. 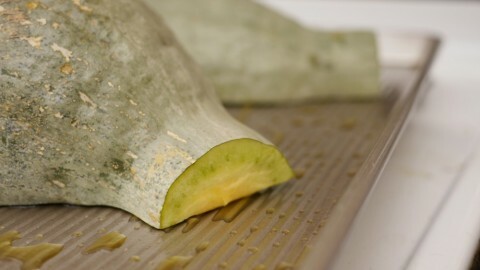 Heat your oven to 350F and wash your seeds thoroughly, disentangling them from the squash guts as well as you can. Pat them dry, and then to a work bowl, add all of the ingredients and mix. 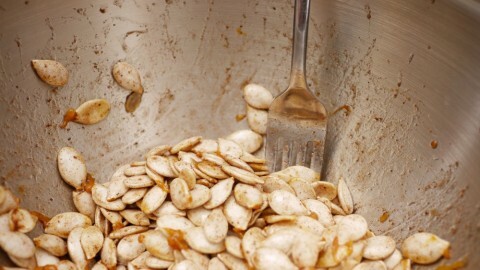 Spread your seasoned squash seeds on a baking sheet, and roast for twenty-five to thirty-five minutes, agitating once or twice during cooking. 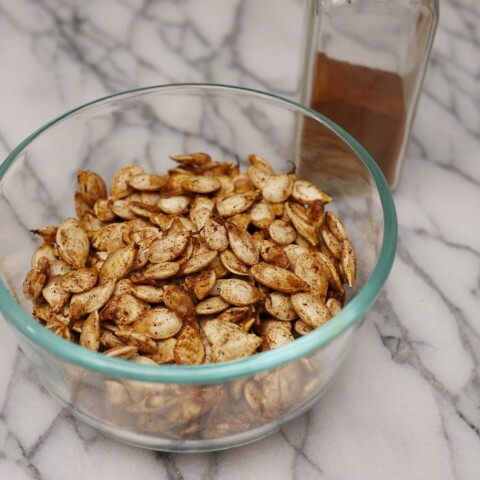 When the seeds are done, remove to a small bowl and add additional salt to taste. These are best served fresh, but they’ll keep for several days, uncovered on your counter. I’d been planning to put away some pumpkin puree, but on your advice I’ll switch to humbler squashes! I’m tempted now to do a blind taste test of roasted squash glop.